The Saint-Gaudens double eagle (or $20 gold piece) is frequently acclaimed as the single most beautiful coin in American history. 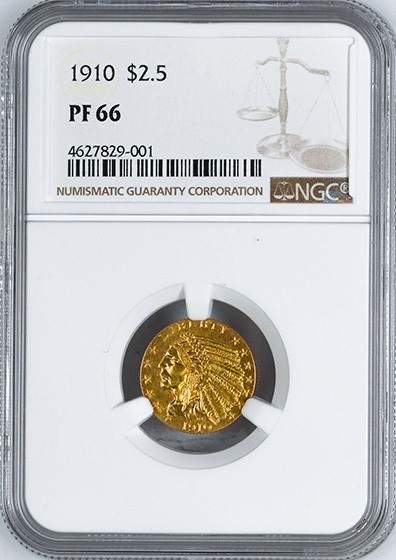 A case can be made, however, that two smaller United States gold coins from the same historical period are really much more innovative and daring. And, at the time they made their first appearance, they were also quite a bit more controversial. These two coins are the Indian Head quarter and half eagles—or, in layman’s terms, the Indian Head $2.50 and $5 gold pieces, respectively. At the start of the 20th century, the life expectancy of the average American was less than fifty years. But the four gold coins then being issued by Uncle Sam had all been around without a major design change for more than fifty years. Three, in fact, had carried the same design—a portrait of Miss Liberty wearing a coronet—for more than 60 years. Clearly, it was time for a change, and in 1901 the groundwork was laid for that change when Theodore Roosevelt succeeded to the presidency upon the assassination of William McKinley. The restless, dynamic Roosevelt was a quintessential agent of change, taking a personal interest and stamping his imprint upon the entire gamut of national life—including U.S. coinage. It was Roosevelt who arranged for famed sculptor Augustus Saint-Gaudens to redesign the double eagle and eagle (or $10 gold piece), and he basked in reflected glory when the stunning new coins debuted to rave reviews in 1907. He then gave his personal blessing to redesigning the two remaining gold coins the following year. The Indian Head quarter eagle and its larger companion, the half eagle, stand out from all the rest of United States coinage because their designs and lettering are sunken in a plane that is uniformly flat. The highest points of relief are level with the coins’ fields, and they have no raised rims to protect them from wear. In fact, the only element of these coins to exceed the level of their fields is the mintmark, if any. The concept for such coins came from a Boston physician and art lover named William Sturgis Bigelow, who happened to be a close friend of Teddy Roosevelt’s. Bigelow’s interest apparently had been stimulated by Egyptian reliefs in the Boston Museum of Fine Arts, and although there was no modern precedent for the use of this technique in producing coins, he and Roosevelt both thought the notion had merit. Another prominent Bostonian, sculptor Bela Lyon Pratt, got the assignment of fashioning designs. Unlike Saint-Gaudens, who had come up with different designs for the double eagle and eagle, Pratt provided identical portraits for both of the smaller coins, but their dignity and strength amply justify this added exposure. The obverse depicts a realistic-looking Indian brave in a war bonnet, with the date, thirteen stars and the motto LIBERTY forming a circle around this central device. The reverse shows an eagle in repose, perched upon fasces and an olive branch, the intertwined symbols of preparedness and peace. Through judicious sizing and placement, Pratt succeeded in incorporating four different inscriptions on this side, (UNITED STATES OF AMERICA, E PLURIBUS UNUM, IN GOD WE TRUST and the statement of value) without causing the coin to seem unbalanced, cluttered or cramped. The public of 1908 received the coin with mixed feelings. Although many appreciated the design’s artistic merits, others immediately found fault. Some felt neither the Indian nor the eagle were properly represented, while others questioned the coin’s ability to stack properly. Inevitably, the incusing of the design elements, being unfamiliar, also stirred criticism. Philadelphia coin dealer Samuel H. Chapman found it particularly objectionable, warning President Roosevelt that the “sunken design” would lead to a multitude of problems, including counterfeiting and even illness (he maintained that the recessed areas would become clogged with filth and convey disease). The president remained unshakable, however, in his support for the coins. Indian Head quarter eagles were issued annually from 1908 through 1915. At that point, the Mint suspended their production for a decade; when it resumed in 1925, the coins were struck for five more years before the series ended in 1929—one of many victims of that year’s Wall Street crash. 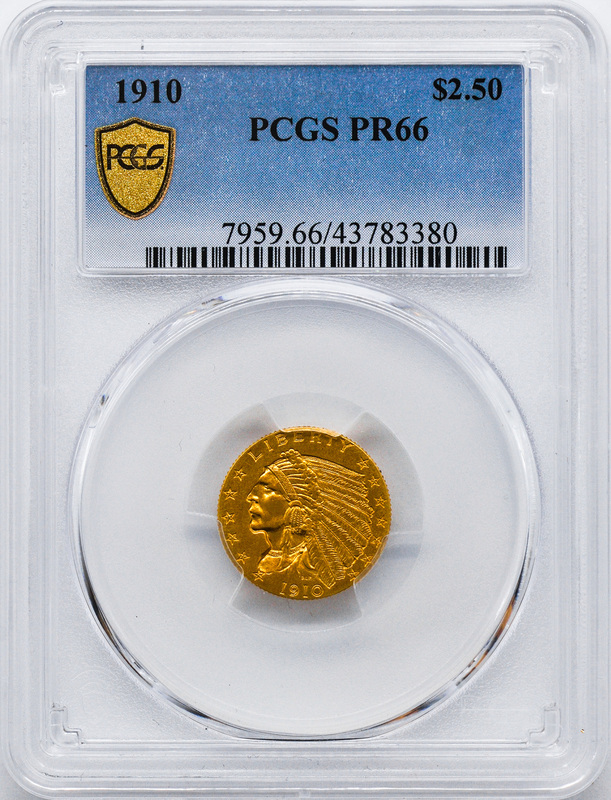 As the depression took hold, what little gold came into the Mint was used for production of double eagles. With the cessation of gold coinage and the great recall of 1934, the quarter eagle would not return. 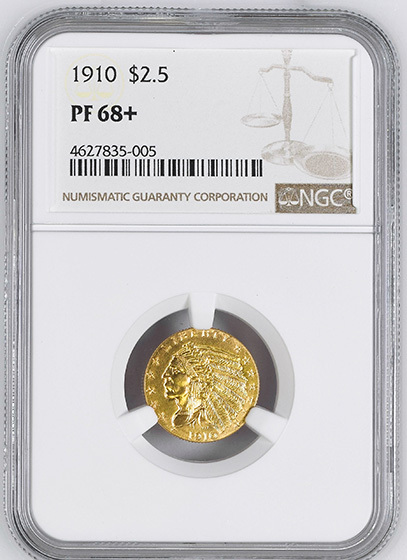 With just 15 different date-and-mint combinations (12 issues from the Philadelphia Mint and three from Denver), the series is one of the smallest in U.S. coinage, making a complete set attainable for many collectors despite the relatively high cost of buying anything made of gold. Its affordability is enhanced by the fact that only one coin, the 1911-D, is notably scarce; at 55,680, it’s the only coin with a mintage of less than 240,000. The Denver mintmark can be found on the reverse, to the left of the arrowheads. Relatively small numbers of matte proofs were made in every year from 1908 through 1915, but not in the final five years. The flat matte finish of the proofs proved unpopular with collectors of the day, and many remained unsold, to later be melted by the Mint. Being recessed, the design elements on Indian Head quarter eagles are protected from excessive wear. At the same time, this complicates the grading of these coins, since the patterns of normal wear differ from those of raised-relief coins. Critical areas for detecting traces of wear are the Indian’s cheekbone and headdress feathers and the shoulder of the eagle’s left wing. 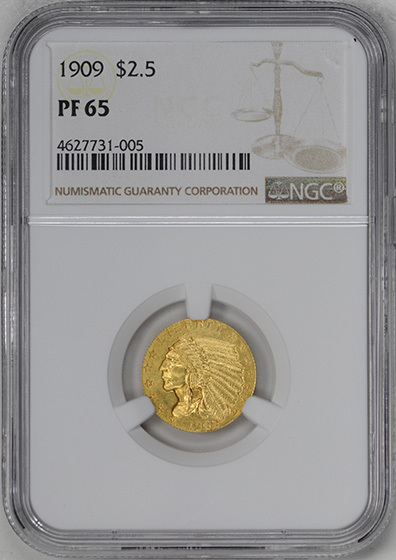 Although these coins are relatively plentiful in grades up to Mint State-64, a sharp drop-off occurs above that level and very few examples exist in grades of Mint State-66 and above. Counterfeits of many dates exist, and some are very deceiving. Any questionable piece should be authenticated. 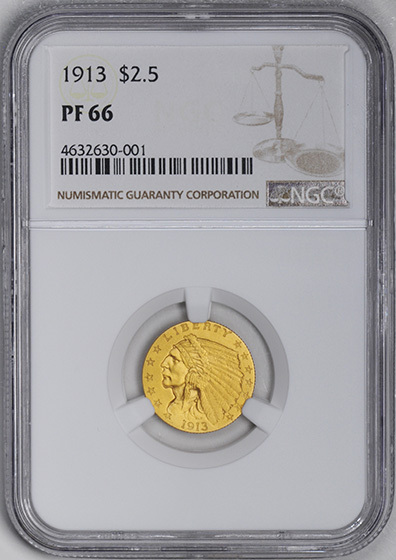 The Indian Head quarter eagle may not be quite as magnificent as the Saint-Gaudens coinage, but it has its fair share of admirers and has long since overcome its early criticism. This series offers the advantage of being perhaps the only series of United States gold coins easily completed. Aside from the 1911-D, all dates in this series are readily available in mint state. They also make for a fun and satisfying collection. GEM ROMAN FINISH PROOF. ONLY 139 STRUCK. GEM ROMAN FINISH PROOF. ONLY 682 STRUCK. GEM ROMAN FINISH PROOF. ONLY 682 STRUCK. 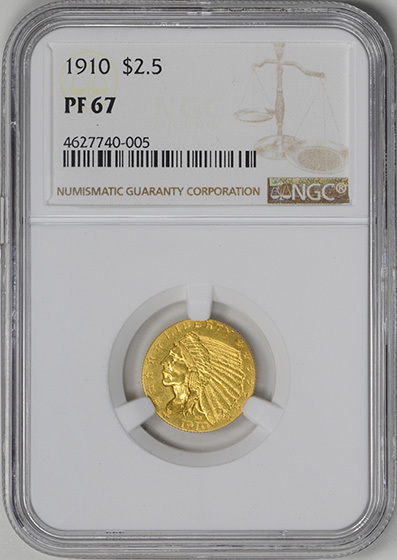 JUST 3 GRADED HIGHER AT PCGS. CAC. GEM SATIN PROOF. ONLY 682 STRUCK. JUST 4 COINS GRADED HIGHER. GEM MATTE PROOF. ONLY 165 STRUCK.